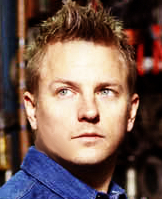 For all we know Kimi might have negotiated an extended or an entirely new deal with Lotus. It wouldn't surprise me if they changed the contract to 3 years or something along those lines. Let's hope so. That would mean no Kimi-F1-retirement yet. And I rather see him in third or fourth place in a Lotus, but with a posibility to win WDC if they finally get their act together. Than in whatever place with a Ferrari, but with no posibilities of wining a WDC ever again. I am not worried about the Ferrari rumours. It just sounds like Domenicali wants Kimi back. But Kimi would never go near them again, I am pretty sure, and Montezemolo isn't going to "admit" his mistake. I have seen a few people who have spoken to Mark Arnell and he said Kimi plans to stay in F1 for about 5 years or something. ... a few people who have spoken to Mark Arnell and he said Kimi plans to stay in F1 for about 5 years or something. Ferrari? Never ever I think. Yes I agree, there might be a baseline plan but Kimi can still suddenly change his mind at any time. It is already somewhat strange how he doesn't even want to commit to Lotus for next year. "You never know; Formula One is a funny place. We've seen that in the past and I've seen it so I'm not interested in talking about it, because it doesn't seem to make much sense whether you seem to have [a contract], it can change in one night." Michael Schumacher has announced that he will retire for a second time at the end of this season. The seven-times World Champion joked that this time it would probably be permanent, and said that he just wants to enjoy the last six races of the season. His final race will come in Brazil exactly six years after his first retirement. Schumacher began by reading from a prepared statement to the assembled medai. â€œBasically Iâ€™ve decided to retire by the end of the year,â€� he said. â€œAlthough Iâ€™m still able and capable to compete with the best drivers that are around. But at some point itâ€™s good to say goodbye. And thatâ€™s what Iâ€™m doing herewith by the end of the season, and it might this time even be forever. â€œDuring the past month I was not sure if I still had the motivation and energy which is necessary to go on. It is not my style to do something that Iâ€™m not 100% feeling for. With todayâ€™s decision I feel release, obviously from those doubts, and in the end my ambition to fight for victories and the pleasure of driving is nourished obviously by competitiveness. â€œIt is without doubt that we did not achieve our goals to develop a World Championship fighting car. But it is also very clear that I can still be very happy about my overall achievements in the whole time of my career. Michaelâ€™s voice showed a clear hint of emotion when he mentioned his wife: â€œI would obviously like Daimler, Mercedes-Benz, the team, the engineers, all my mechanics for all the trust that theyâ€™ve put in those years into myself. But I would also like to thank all of my friends, partners and companions who over many years supported myself. But most of all Iâ€™d like to thank Corinna, my family, for always standing by my side, giving me the freedom to live my conviction and sharing my joy. That is very special. Has Force India confirmed their line-up? Or were both drivers signed for at least another year? Lotus is set to confirm that it has re-signed 2007 world champion Kimi Raikkonen imminently. The team held an option on the Finn, subject to certain performance clauses being met on both sides, and is understood to have taken up its option since the Singapore Grand Prix. I just took a little time off F1 and now there are so many news... " title="pipe" /> for some reason I found myself not caring about any of them.